When we look at NHS prescribing we constantly hear “prescribe generically” so that the pharmacist can choose to dispense the most competitively priced medicine. Patients have their favourite and will probably continue to ask for their favourite medicinal product rather than allow the budget to decide what they should take. Is it true for products in aesthetic medicine? 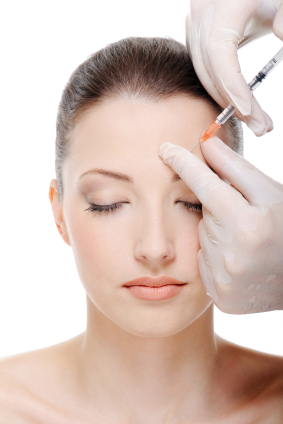 Botulinum toxins are the most com monly used prescription only medicine within the aesthetics industry. If you were to show this picture to the general public they would probably all state it was an injection of Botox. Allergan have cashed in on the use of the word Botox and whilst there are other toxins, Dysport and Xeomin on the market, are we right to still call them all Botox? Dypsort, manufactured by Ipsen, has been given unfair reports of how it spreads more and leads to unnecessary ptosis. What controls the amount of spread is the amount of diluent that is used; as the more diluent used to mix the toxin with, the greater the volume that is injected and the greater the spread of the product around the injection site. So what does lead aesthetic practitioners to use the toxin that they use? Is it marketing support from the manufacturer, incentives by the company reps, keeping to the toxin that they trained in or just simply down to the pricing structure? Practitioners want to offer a safe product, one that will achieve the results and be safe to use but also one that will offer an acceptable profit margin. According to the BNF, toxin prices range from £64 to £154 although discounts can be applied to multiple purchases. Price matching is also available through various pharmacies such as Wigmore price matching against Church Pharmacy for the purchase of Azzalure. In short, in the private sector, medical professionals can choose to prescribe by brand to favour one toxin over another, patient preference should be considered however, but often the brand of toxin used may be down to injector preference and they may call the toxin that they use Botox even though it may be Dysport or Xeomin that is used.